Not too long ago, Apple unveiled its “forward-thinking” iPhone 5S that claims the title to be the first handset with a 64-bit processor. The handset costs $199 with a two-year contract in the US while the SIM-Free versions comes with a $649 price tag for the 16GB model. Apple’s latest offerings brings new features and improved hardware compared to last year’s iPhone 5, with a similar design, so what is the difference between the iPhone 5 and 5S. Unfortunately, Apple is not selling the last year’s iPhone 5 as it’s replaced by the colorful iPhone 5C, in this article, we’ll tell you the major differences between the iPhone5 and 5S. Let’s start with the brief comparison of the design of both handsets. Apple iPhone 5S comes with a similar 4-inch Retina display sporting a resolution of 640 x 1136 pixels, same as its predecessor and features a similar aluminum design. 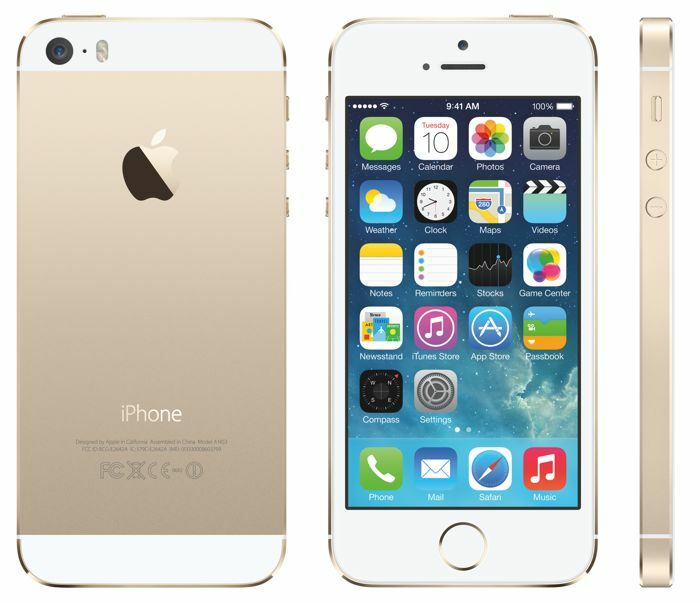 Apple iPhone 5S measures 4.87 x 2.31 x 0.3 inches, which comes in line with iPhone 5 as well. Both devices even weigh the same, which is 112g. When it comes to the external design, you can easily spot the iPhone 5S, thanks to the Touch ID sensor around the home button in the iPhone 5S, as well as a dual-LED flash on the back. 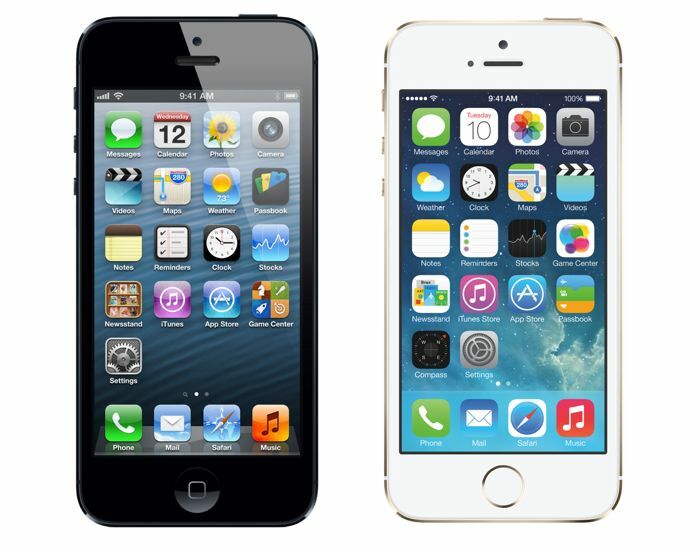 Last year’s iPhone 5 came in its classic two colors: black and white. On the other hand, the forward-thinking handset comes in totally new colors, including Space Gray, Silver and Gold. As far as the display is concerned, iPhone 5S users will hardly notice any major differences. iPhone 5 also rocks a 4-inch Retina sporting a resolution of 1136 x 640 pixels. Now, the main game changer between the two iPhones is the processor. The iPhone 5 comes with a dual-core A6 processor with a clock speed of 1.3GHz with PowerVR SGX GPU, but the iPhone 5S comes with a 64-bit dual-core 1.3GHz processor with an improved PowerVR G6430 GPU. It’s not just the A7 proessor, the iPhone 5S also comes with a motion M7 co-processor. Although the iPhone 5S and 5 both come with an 8MP iSight camera, the one found inside the iPhone 5S still has a few differences. It’s not just the megapixels that matters when it comes to cameras, there are other aspects too. iPhone 5S comes with a Tru Tone flash while the iPhone 5 features a simple flash. iPhone 5S comes with a 1/3” sensor size and 1.5 µm pixel size with ƒ/2.2 aperture, while the iPhone 5 features a 1/3.2” sensor size and 1.4 µm pixel size with ƒ/2.4 aperture. Additionally, iPhone 5S lets users capture HDR panorama as well, while the iPhone 5 lacks this feature, but it does have HDR photo capturing ability. Both devices feature a similar 1.2 megapixel front-facing camera with 720p video recording capabilities. The latest iPhone 5S ships with the latest iOS 7 (upgradeable to iOS 7.1), while the iPhone 5 — which is discontinued by Apple — came with iOS 6 out of the box, but it can be upgraded to the latest iOS 7.1 as well. As far as the storage is concerned, both these devices comes with 16/32/64GB storage options, as well as 1GB of RAM on board. When it comes to battery, the iPhone 5S has 1,560 mAh battery while the iPhone 5 has a comparatively smaller 1,440 mAh battery, but it’s not a big difference. In addition, the latest iPhone 5S comes with a Touch ID fingerprint sensor for additional security, while its not present in the iPhone 5. Both the iPhone 5S and iPhone 5 are excellent devices. Both have some what similar specifications, but the real game changer is the 64-bit A7 processor in the iPhone 5S, as well as the inclusion of the Touch ID sensor, this make the difference between iPhone5 and 5S clear. When comes to differentiating between the two in terms of looks, well, you can easily distinguish as both come with a little different color combinations, and the Touch ID makes it pretty clear that the device in front of you is the iPhone 5S. Now, is it a good idea to upgrade to iPhone 5S, if you already have an iPhone 5? Well, I’m not sure if it’s a pretty good idea to switch to the iPhone 5S if you already have an iPhone 5. If you fancy the Touch ID or want more speed, and have some extra bucks lying around, sure go ahead and get it, you won’t regret.